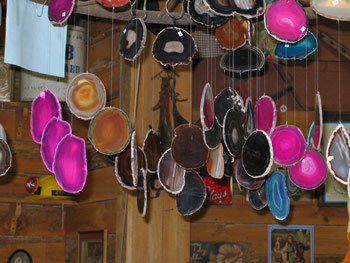 Our Brazilian Agate Windchimes are all hand-crafted. We select only the best agate slabs. Each agate slab is unique in color, markings, shape and design.They come in 5 colors-Pink-Purple-Blue-Tiel-Natural. Note: Because each rock is natural and unique, the colors, shapes, and sizes will vary.